Everyone stresses the importance of a healthy diet and exercise as the number one treatment for nearly every condition known to man. This is because what we put into our bodies and what we do with our bodies greatly influences how it performs. Many nutritionists get excited about “power foods” or “super foods” that are great for improving memory or the appearance of your hair. Did you know that there are foods that have been shown to naturally decrease joint pain or ward off conditions that result in joint pain? Here, we will offer a brief list of these “joint pain superfoods,” and tell you a few that you should absolutely avoid! Fish, including salmon, tuna, herring, and mackerel, is packed with all the good stuff! Loaded with healthy protein, fish also contains omega-3 fatty acids that help fight inflammation and help lubricate joints, which can help ease joint stiffness and pain. As a non-joint health added bonus, fish also helps fight depression, improves memory and focus, and reduces your risk of heart disease! 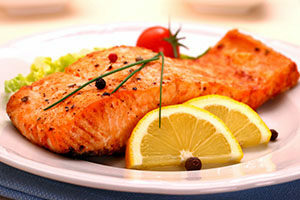 If you are not a big fan of fish, canola and walnut oils, soy, and some nuts boast omega-3 fatty acids as well. Cherries and berries contain anthocyanin, the purple/red pigment that gives them their color, which has been shown to be a powerful anti-inflammatory agent. In addition to reducing inflammation, cherries and berries can help ward off gout, a common cause of joint pain. Non-joint benefits of these power foods include liver support and help in regulating blood pressure. Dairy products, such as milk, yogurt, cheese, and yes, ice cream are packed with calcium and the vitamin-d that your body needs to absorb and effectively use the calcium. Building strong bones helps to ward off osteoporosis and osteoarthritis. If you are lactose intolerant, try leafy green vegetables like spinach and kale, with are also loaded with calcium and vitamin-d.
Soybeans offer the same omega-3 fatty acids found in fish without requiring you to consume fish. Omega-3 fatty acids are great for reducing joint inflammation and providing lubrication within your joints. As an added bonus, soybeans are also a heart-healthy snack! Citrus fruits, including oranges, grapefruits, lemons and limes, are packed with vitamin C. Vitamin C has anti-inflammatory effects that help reduce joint pain by reducing inflammation. Additionally, vitamin C is great for immune system protection and can help you fight off illness, including cancer! They are heart-healthy and help support a regular digestive system as well. Our cruciferous vegetables such as broccoli, Brussel sprouts, and cabbage contain sulforaphane, a powerful antioxidant that helps reduce inflammation in the body and supports a healthy immune system, which can help ward off autoimmune diseases such as osteoarthritis. 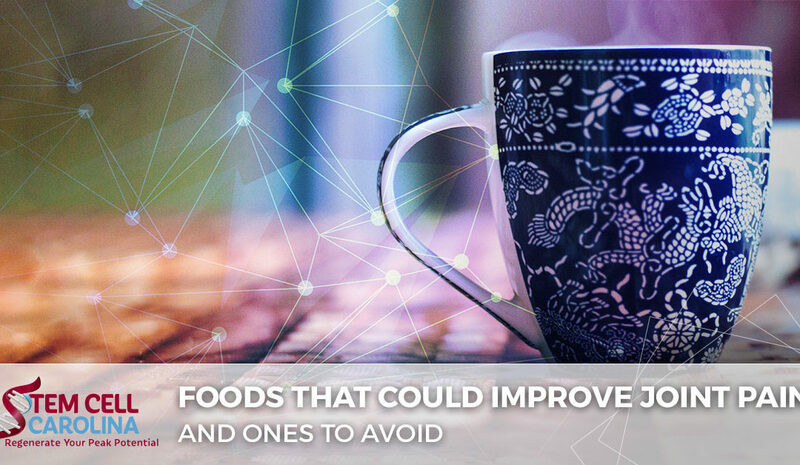 Non-joint benefits include vitamins K and C, and powerful cancer-fighting agents, These foods have also proven useful in fighting Alzheimer’s disease. Leafy greens such as spinach, kale, and lettuce help reduce inflammation that causes pain. Studies have shown that spinach in particular, is full of kaempferol which is known to fight rheumatoid arthritis. Grapes are known to contain anti-inflammatory properties that can help prevent and reduce joint pain, but they also contain proanthocyanidin, which has been linked to preventing rheumatoid arthritis. Additionally, grapes help support a healthy digestive system. Olive oil is known to be a great anti-inflammatory option that has been used to prevent heart disease. However, recent studies have shown that olive oil helped stop and reverse the development of arthritis, reduced joint swelling, and prevented cartilage destruction. While most oils have anti-inflammatory properties and can be useful in reducing your joint pain, olive oil can specifically help those who suffer from arthritic joint pain. Whole grains such as oatmeal, brown rice, and breads and cereals, help to reduce C-reactive protein (CRP) levels, which is a marker of inflammation within the body. While CRP is indicative of heart disease and inflammation of the circulatory system, high CRP levels have also been associated with rheumatoid arthritis and diabetes. Whole grains are also great for providing you with the fiber necessary for a healthy gut. Beans, like whole grains, are loaded with fiber and naturally lower CRP levels. Beans are also high in protein and offer a gluten-free option for those who cannot eat wheat products. Green tea contains polyphenols, which is a strong anti-inflammatory and helps ward off a host of human diseases, including rheumatoid arthritis. It also contains epigallocatechin-3-gallate which has been shown to inhibit the inflammatory process that causes arthritis. Turmeric isn’t a food itself, but this Indian spice that is commonly found in curries contains curcumin, has been proven to significantly decrease inflammation and support the immune system to fight autoimmune diseases. Allium vegetables such as onion, garlic, and leeks have been shown to ward off osteoarthritis due to its diallyl disulphine compound, which is thought to limit cartilage-damaging enzymes. Ginger contains a natural anti-inflammatory property that helps prevent and reduce joint pain. Ginger is also great for reducing muscle pain and soreness which can help keep you actively supporting your joints with healthy exercise! Food referred to as inflammatory should be avoided at all costs! The majority of these foods are fried or processed. Canned goods, pre-cooked frozen meals, and deep-fried foods all introduce a toxin called advanced glycation end product (AGE) into your system that causes inflammation. Reduce salt intake to reduce fluid retention that may contribute to swelling and inflammation. Corn oil, unlike the canola oil mentioned above, actually directly causes joint inflammation! If you are eating a variety of the foods mentioned in this article and avoiding the ones we suggested, and you still suffer from chronic joint pain, visit Stem Cell Carolina to find out if stem cell therapy can help reduce the painful symptoms of chronic joint pain or arthritis. Contact us today for more information or to schedule your consultation.